All required kitchen utensils were available. Parking space was available. Owner supported us in each and every stage, whenever required. 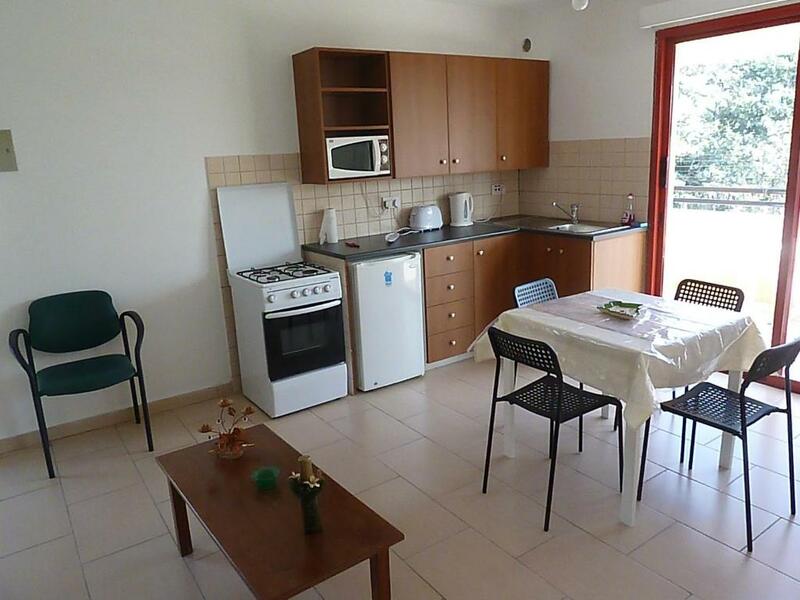 Spotlessly clean, comfortable, excellent kitchen (microwave and gas) and everything you need. 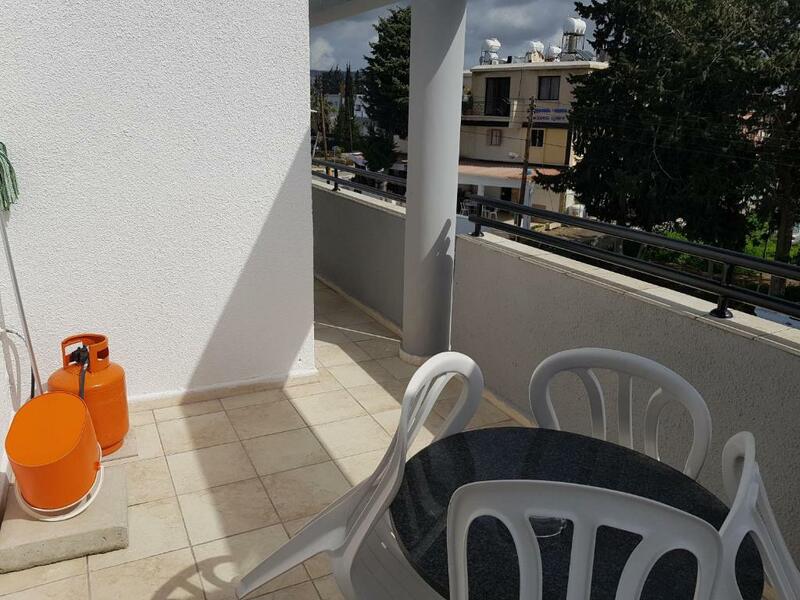 Great location on quiet street near Kato Paphos promenade. The owner was friendly and always accessible. The only thing that would be 'higher' in a fancy hotel would be the price. All was great! We have no complaints about it. Valentino was great, very friendly and helpful, not only during check in but before and after. Gave us tips where to go in the area and where to eat. Property was great for us as we’re only looking for a nice clean shower and place to sleep. But it still offers a big balcony, kitchen with utensils and all working great. Within a 5min walk is the the water front, also wide choice of restaurants or just walk across the street if you fancy Indian food. Tourist information center and public transportation also just down the street towards the water front. There is a supermarket under the building and free parking as well. The location is great! Very close to Paphos port and castle. The flat is fully furnished with oven and stove tops and a fridge. Lock in a great price for Valentinos Court – rated 9.1 by recent guests! 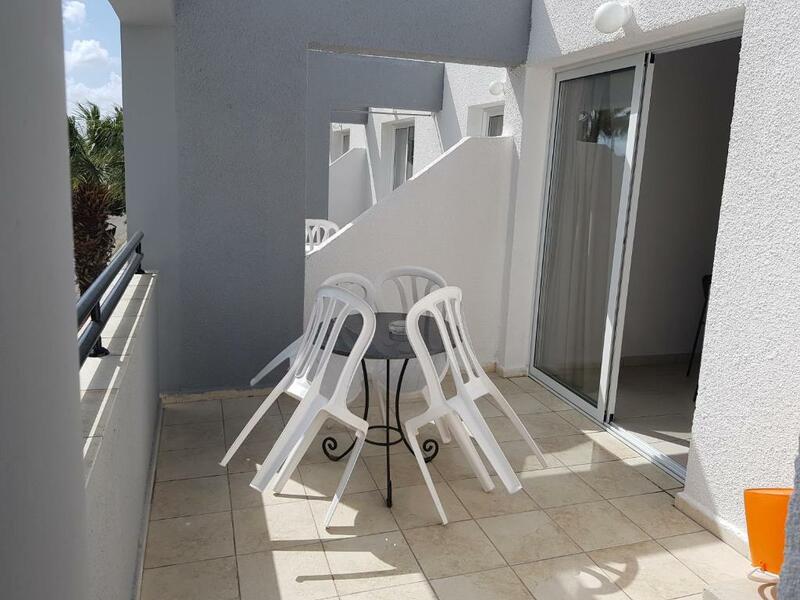 Located within a 7-minute walk from the sandy beach of Paphos, Valentinos Court offers air-conditioned, self-catering apartments with free WiFi and balcony. Shops and restaurants are 650 feet away. A well-equipped kitchen with cooking facilities and dining table is included in all apartments at the Valentinos Court. 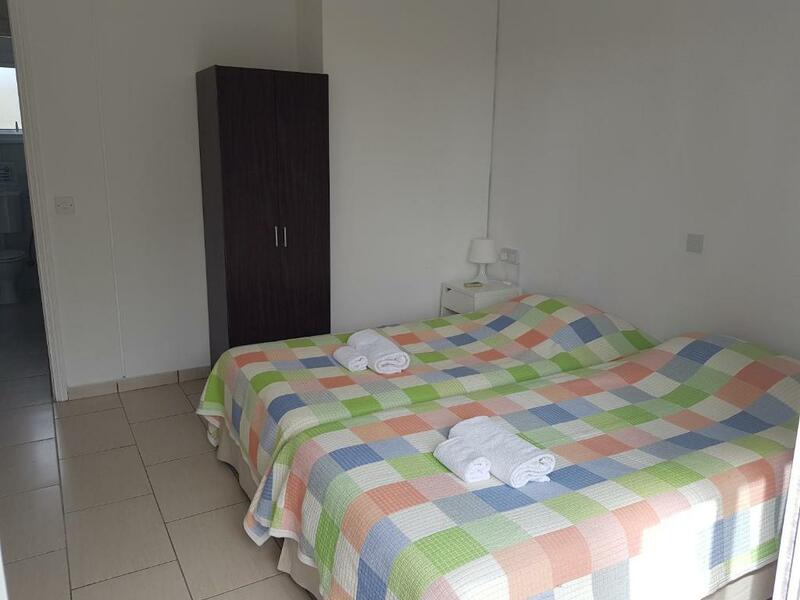 Each has a TV and a private bathroom with a hairdryer and free toiletries. The bus stops 150 feet away. Paphos Airport is within 7.5 mi. Shuttle service from or to Paphos Airport can be arranged upon charge, and car rental services can also be provided on request. 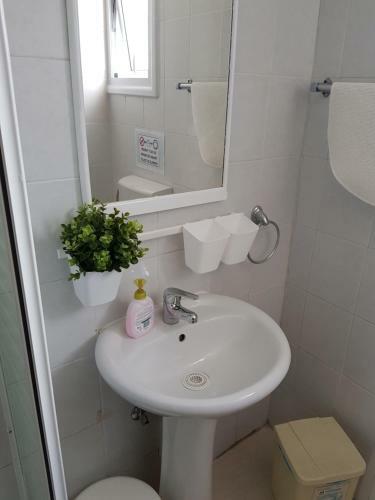 뀐 Located in the real heart of Paphos, this property has an excellent location score of 8.9! When would you like to stay at Valentinos Court? 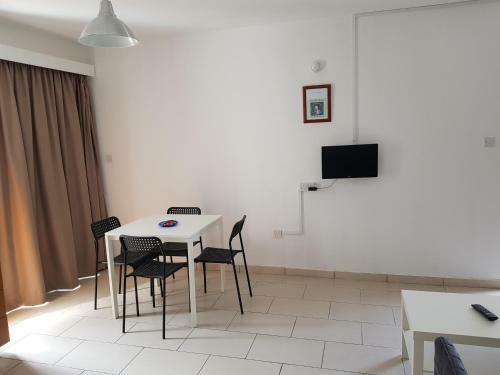 Located within a 7-minute walk from the beach, this air-conditioned apartment offers free Wi-Fi and balcony. A well-equipped kitchen is included. Guests are offered a welcome basket with coffee, tea and sugar. 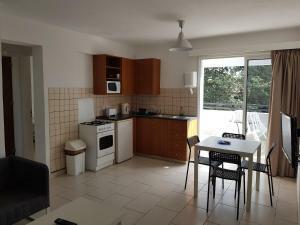 Located within a 7-minute walk from the beach, this spacious, air-conditioned apartment offers free Wi-Fi and balcony. A well-equipped kitchen is included. Area Info – This neighborhood is a great choice for travelers interested in ancient landmarks, history and restaurants – Check location Great location - show map Guests loved walking around the neighborhood! House Rules Valentinos Court takes special requests – add in the next step! Valentinos Court accepts these cards and reserves the right to temporarily hold an amount prior to arrival. Bathroom items can be added like (soap, shampoo, etc). Only body gel was present. Some of appliances gave little problems. Owner did his extra-ordinary efforts to solve these at even very odd hours. So actually didn't suffer because of that. kitchen equipment could have been a little better. The host was very helpful. He arranged and delivered tour tickets, provided transfer to airport early in the morning. Kitchen was well equipped for preparing a meal. Nothing bad to say,the only better thing was if it was free. 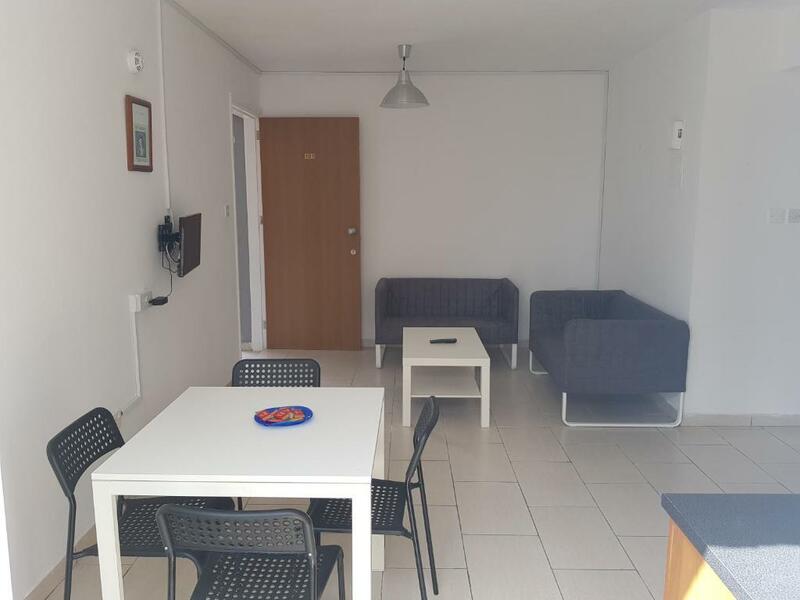 These appartment are good value for money,clean and comfortable.If you wanted to self cater for every meal you could.There is a full size cooker and oven and enough pots and pans to use. 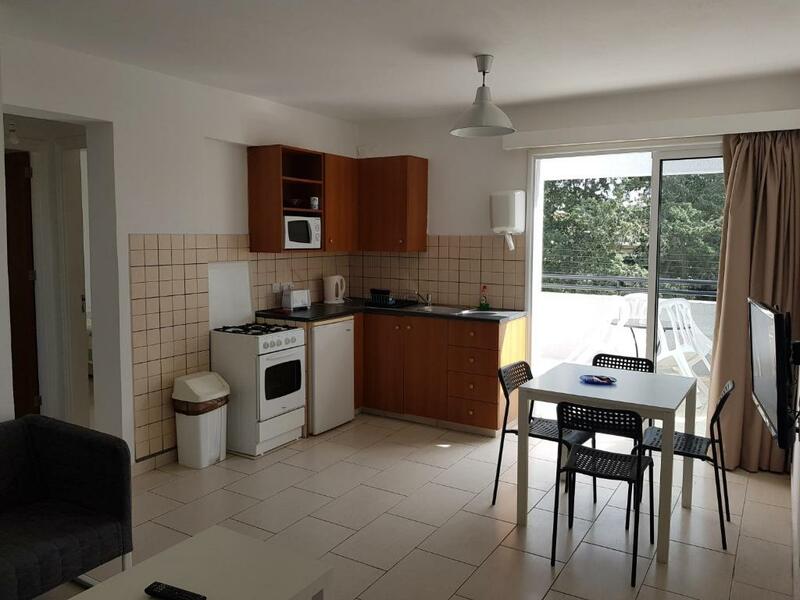 Also toaster and microwave.It even comes with washing up liquid dish cloth and sponge and kitchen roll.A fair size kitchen/living room two sofas ,table to eat at.nice balcony again with table and chairs.Bathroom a little small but how long do you need in there. I always struggle with hot water in any place I stay(its never hot enough)not the case here lots and lots of lovely hot water.Its also ideal as its on top of a supermarket no having to carry shopping home from afar. The location is also good. The only thing that you need to be aware of is that to get to the appartments you have to clime a good flight of stairs so please be aware of this if your mobility is not so good,other wise book these appartments as you will get great value,they are not posh but very clean and tidy.We stayed for 2 weeks,picked up and taken back to the airport free of charge.would stay here again anytime.You are also able to lock the bedroom when out as well as the appartment for added peace of mind. wifi was very poor, you could connect only from living room and really slow connection. not available from balcony and bedrooms. I had to use my roaming mobile data for my work and spend extra money for it. Nice apartment with large balcony, airco, kitchen, two bedrooms and good shower. The location is very good; just a few minutes walk to the touristic sights, the boulevard, and the nightlife area. To find good restaurants, go to the old center.